BMW is using the analogy of free diving to demonstrate the reduced fuel consumption and CO2 emissions made possible by efficient dynamics. The campaign, online at www.bmw.com/efficientdynamics, is expressed in a television commercial filmed in Egypt. French free diver Guillaume Nery is filmed on location in the Red Sea in Dahab, Egypt. He recently broke the world free diving record by diving unaided to a depth of 113 metres. 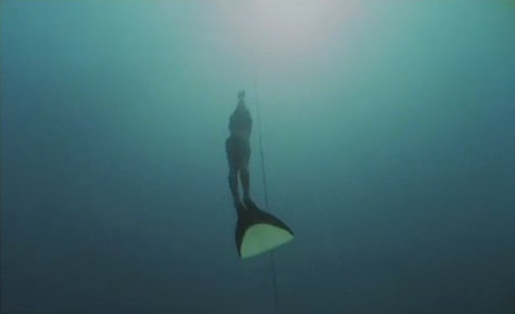 The Freediver ad was developed at Ireland Davenport Johannesburg by executive creative director Phillip Ireland, executive creative director/copywriter John Davenport, art director Gina King, and agency producer Chantel Kriel. Filming was shot by director Greg Gray via Velocity Films, with directors of photography Rob Malpage and Didier Noirot (marine specialist). Editor was Kobus Loots. Music was composed by Alun Richards at Cut & Paste Generation.